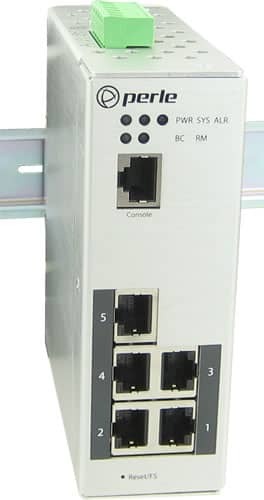 IDS-305-XT Industrial Managed Switch. 5 ports: 5 x 10/100/1000Base-T Base-T RJ-45 ports. -40 to 75C industrial extended operating temperature. PRO software feature set.